We have a very broad spectrum of services available. Stop in to see how we can make your materials professional and eye-catching. We can take your printed or copied materials and finish them in a variety of methods. Whether you need one copy or 500 copies of a 250 page, tabbed and bound document... we are your Complete Business Solutions Center. Our knowledgeable and courteous staff have the solutions you need. 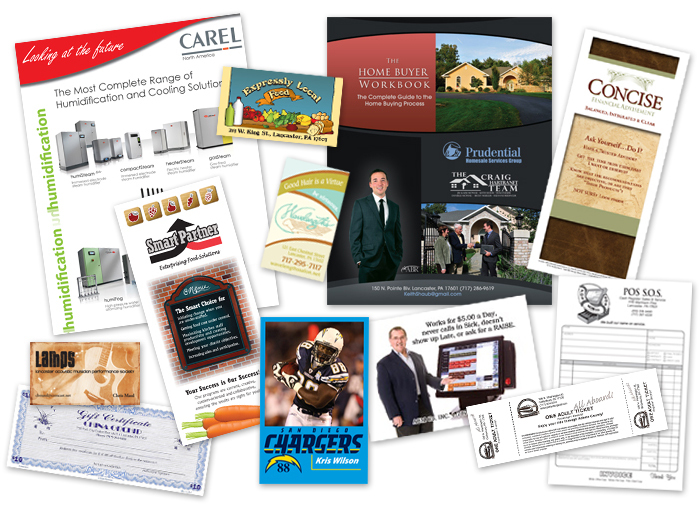 We print from your files. If the files are not print-ready we will be happy to fix them for a small fee. Our turn-around time can be 7–10 working days or as short as next day, it just depends on the product. Click here for our pricelist.